If you want to see green fields, cows, bikers and in-line skaters, visit “Blockland” to enjoy the agricultural side of Bremen´s nature. 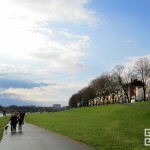 It is located near the river Wümme, roughly in the west of the university. 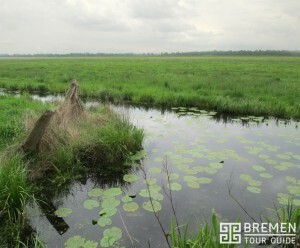 You can drive by bike or skates along the dyke and enjoy an ice cream from one of the farms – some also sell organic food. In winter there is no ice cream, but you can go ice-skating on the river and small creeks. 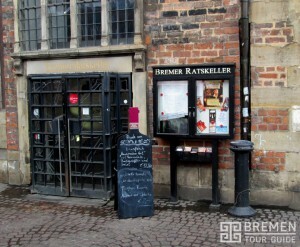 The Bremen Ratskeller is the council wine cellar (German: “Ratskeller”) of the Town Hall of Bremen. 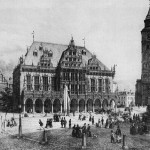 Since it was erected in the year 1405, German wines were stored and sold there. 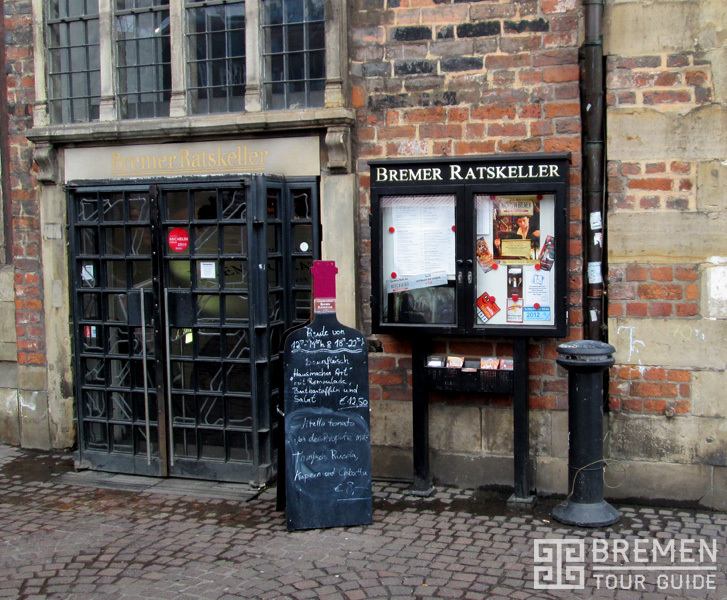 With its history over 600 years the Ratskeller of Bremen is one of the oldest wine cellars of Germany, furthermore the oldest wine barrel of Germany, a wine from Rüdesheim which is dated 1653, is stored here. In the cellar there has long been a traditional tavern and today a large part of it is a gourmet restaurant. 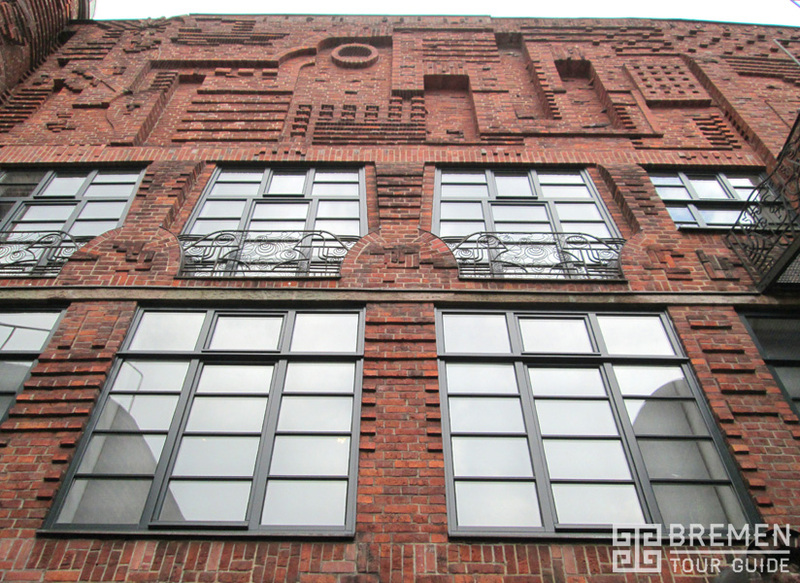 The company was set up by Ludwig Roselius, co-developer of the first commercial decaffeination process. 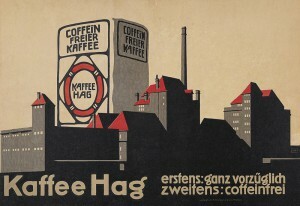 Alfred Runge and Eduard Scotland designed iconic postersand packaging for the HAG Kaffee company. 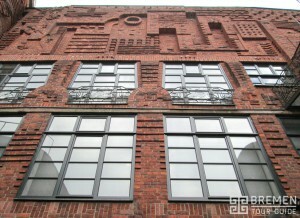 They are credited with designs that defined the company. 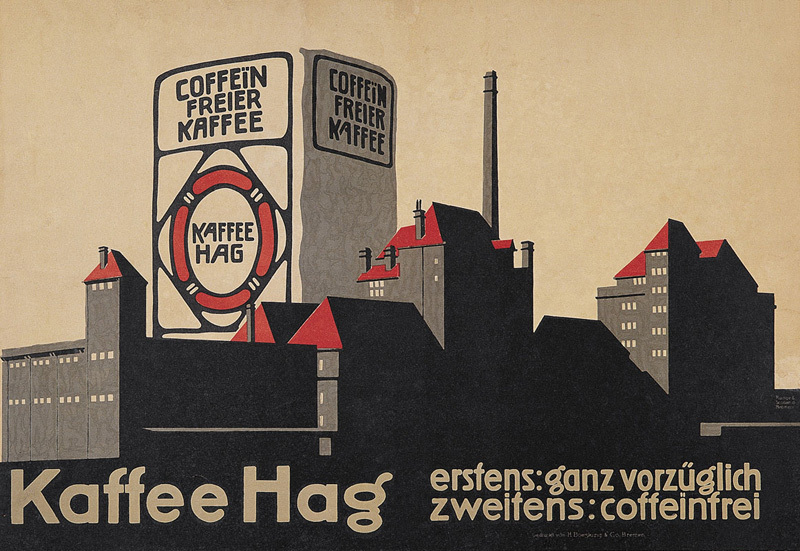 The brand originated in Bremen in Germany in 1906 and took its name from the company title Kaffee Handels-Aktien-Gesellschaft, or Kaffee HAG for short. In the 1920s and 1930s Kaffee HAG was known for the publication of the Coffee Hag albums of heraldic emblems. 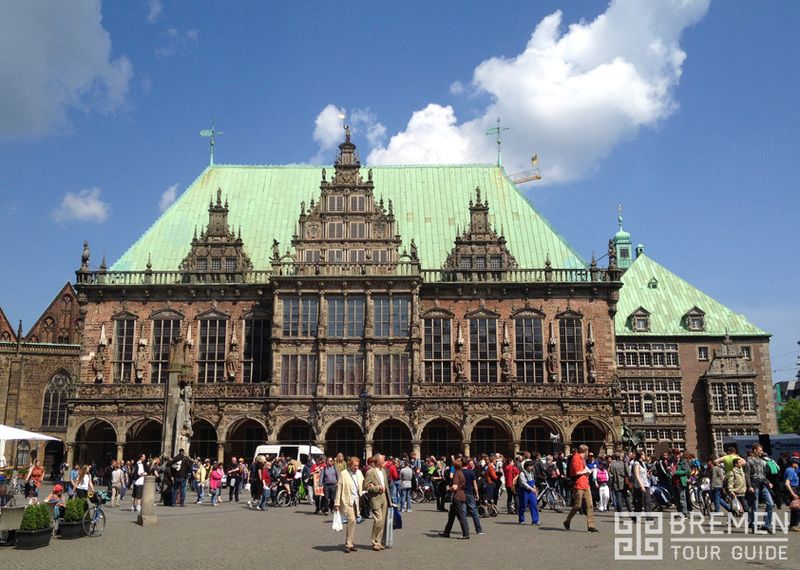 John Gimlette savours the gilded medieval glories of Bremen in Germany. Travelling in Germany, I often feel there are a few centuries missing. The medieval world is usually in good shape, and so is the space age. It’s the stuff in between that’s conspicuously absent. This must be odd to live with, but it’s great for a long weekend. Bremen is a case in point. I went there recently, with my family. Two hours out of London, we were sitting at the heart of the 15th century. 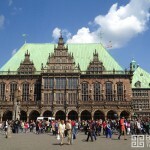 Or, at least, that’s how the main square, or Marktplatz, felt. All around us was the gilded flummery of a Golden Age; guildhouses, cloisters, parapets, a riot of heraldry, and a cathedral more than 1,000 years old. 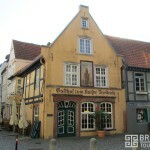 Here, too, was Germany’s oldest coffee house, decorated with customers in armour. But best of all was the town hall. Vast, turreted and baubled, it is Renaissance bling at its most outrageous. In 1612, it underwent a facelift, and now looks like a mountain of wriggling statues. Still, however, it presides over Germany’s richest and most socialist city. It’s also the state wine cellar, with more than a mile of racks. Anyone can visit. And for about €10,000 you can sample a flagon from 1653. 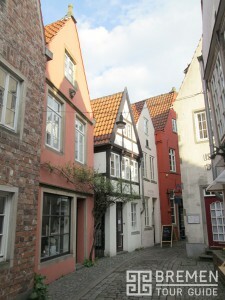 From the Markt, we could nip down to Schnoor, the old fishing quarter. Today, this little rat-run of cottages looks prettier than ever, like a nursery rhyme that’s sprung to life. My daughter (aged seven) loved it here, and bought a tiny ship in a bottle. It wasn’t always so happy; for seven million emigrants, Schnoor was the last they’d see of Germany before sailing for America. Elsewhere, the Baroque thins out but the past persists. 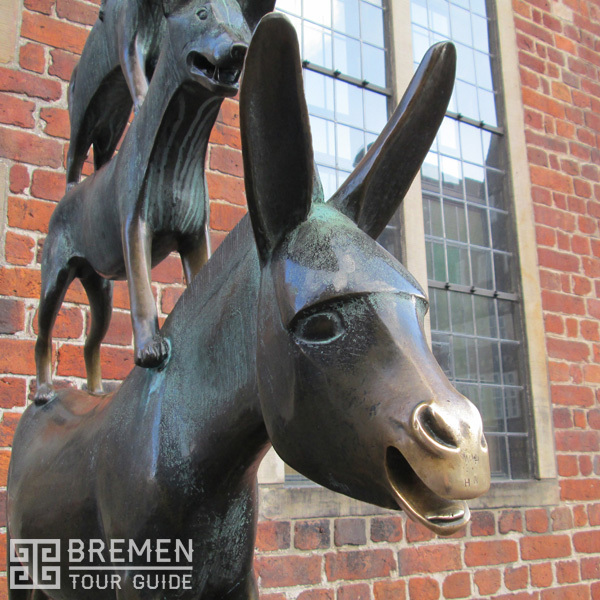 Although Allied bombing destroyed 60 per cent of Bremen, its citizens can still be doggedly medieval. You can still buy a crossbow here, and fast food means brathering (fried herring) on buttered bread. 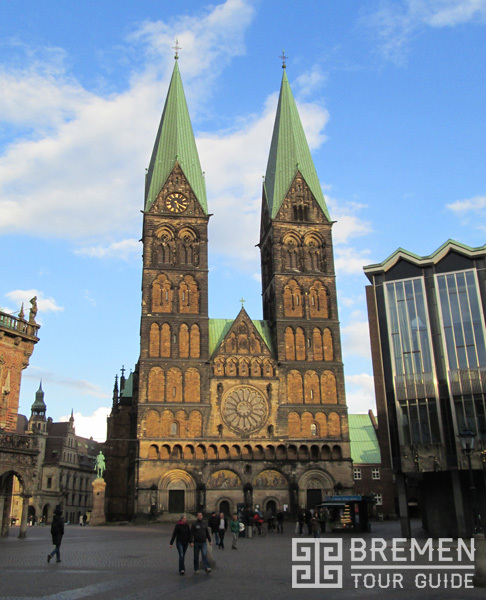 In fact, fast fish is so closely linked to the city that Bremer is now the German for “fishhead”. To understand why the Fishheads eat so fast (and became so rich), we went in search of their work. First, we took a cruise along the Weser. Soon we were amid the hard, flat landscape of commerce. Here were wind farms, futuristic mills, and ships the size of football grounds. For such an ancient community, Bremen – it struck me – produced peculiarly modern things: cornflakes, space stations, lager and rocket parts. 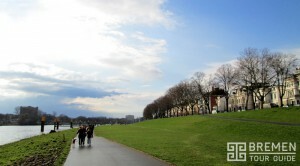 Our last day, we set out for the city’s thinking parts, the Universum. First, we had to negotiate an opulent band of gardens (one is twice the size of Hyde Park). 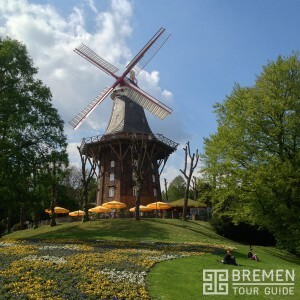 Among the oddities we passed were a giant windmill, and a five-storey elephant. Eventually, however, we were in the future, which – I now know – will consist of trams no louder than a sigh, and museums like enormous silver clams.